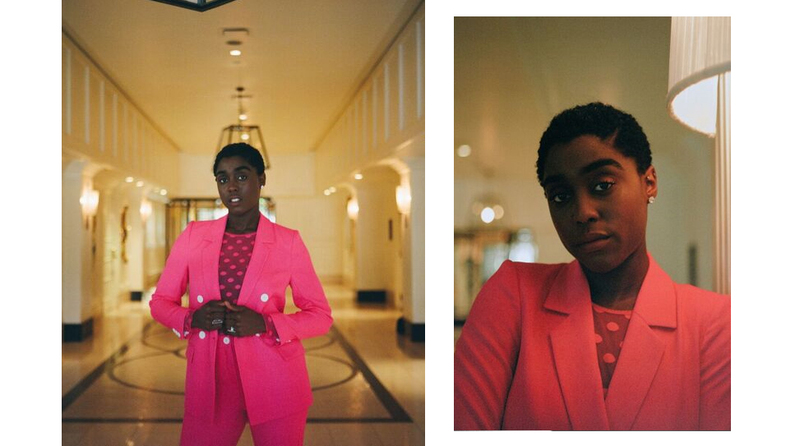 Captain Marvel’s MVP on her self worth, self-actualizing her dreams, and now crossing over into the DC universe with Y.
Lashana Lynch in Los Angeles. © Alix Spence. It’s important we say that you are enough on your own. You don’t need to rely on someone else to determine how you feel when you wake up—being in a relationship and feeling that without that you’d be nothing. You are everything. When the Academy Award nominations were announced this year, one of several enduring and thorny issues resurfaced: the shutting out of female voices in the Best Director category. While that’s not unusual in an industry that has repeatedly overlooked female filmmakers’ contributions in the director’s chair—440 men and just 5 women have been nominated for that honor in Oscar history—it’s no less alarming today as it was in decades past. But we’re already starting to see some progress in 2019. With Captain Marvel, Anna Boden is the first woman to helm a film in the Marvel Cinematic Universe (with co-director Ryan Fleck). It’s also Marvel’s first female-led property, and perhaps the thing to break from tradition most in terms of storytelling, Captain Marvel’s titular hero has no love interest but something more meaningful: sisterly friendship. Captain Marvel tells the story of Carol Danvers aka Captain Marvel (Brie Larson), a former U.S. Air Force fighter pilot with remarkable abilities, who gets caught in the crossfire of the Kree-Skrull War. This intergalactic battle between alien races is known to be one of the biggest events in Marvel Comics history. The film also uses this opportunity to flesh out a very obscure character in the Marvel Universe: Maria Rambeau, Carol’s long-time best friend and fellow fighter pilot, played by Lashana Lynch. “This is the great love of the movie,” admits Larson. “This is the love lost. This is the love found again. This is the reason to continue fighting and to go to the ends of the earth for the thing you love. For Carol, it’s her best friend and her best friend’s daughter.” In the comics, Maria’s daughter, Monica, is the second character to carry the mantle of Captain Marvel. Anthem met up with Lynch at The London Hotel in Los Angeles for a photoshoot and conversation. Captain Marvel is now playing everywhere. It must come as such a relief to you now that you can talk about this movie openly. It had been shrouded in so much secrecy. Exactly! That’s been one of the best moments in fact about this movie. We worked so hard on this movie and it was very secretive for a long time. Even keeping it from your friends and family was strange because you want to celebrate every single moment. Now we can speak about it and talk to young kids about it and we get to see people get excited about it. It feels like we’re sharing that special moment. Not long ago, you had people asking you about that cat! Even that you were reluctant to discuss. Oh my god, yeah. The scene-stealing cat! [Laughs] You know what? I guess for some people who may be aware of the Captain Marvel comics—they would understand why there’s a cat in the movie. There’s no chance of giving anything away now and it’s a big moment in the movie. It’s so unique to a Marvel film. I was surprised to find out that Marvel had actually invited select press to visit the Captain Marvel set just a month into filming. You were literally giving interviews on set while they were shooting scenes. That must’ve been a strange thing to be asked to do as an actor. I still didn’t give them anything. [Laughs] I mean, I already knew not to say anything outside of work. It was a nice moment to have a space where I could just geek out and be excited. We still had a ways to go and we were still creating and things were still changing, but people just showing interest and getting insight into this incredible world that I feel so thankful and grateful to be a part of was really special. Some people would ask me about my character going forward and what’s happening and what happens with her, and I genuinely didn’t know! I couldn’t say that I had a favorite scene or something like that. I couldn’t say. Genuinely, it was just really nice to talk about it with people who already loved the property. It was nice that people already knew the material and they could do that. So there is no love interest in this movie, for both Maria and Carol. There is only their empowered sisterhood. In a really cool way, that somehow makes this story more relatable and inclusive because we all understand and value friendship. Was that one of the more exciting things you took from the script? Absolutely! It’s very rare that you get to see pure sisterhood on screen and to celebrate two women having each other’s backs and using their voices powerfully. It’s important for young children to know they are already enough to be themselves. They don’t need to rely on a relationship. They need to align themselves with their values and their worth. It’s special that I got to do it with someone who also felt passionate about representing that kind of female bond—Brie [Larson]. Not everyone’s relationship is the same in the world. Not everyone walks down the street and suddenly they get into a relationship and stays in that for life. Some people actually are okay on their own and find their own way. I think, because of all the young people watching this movie, it’s important we say that you are enough on your own. You don’t need to rely on someone else to determine how you feel when you wake up—being in a relationship and feeling that without that you’d be nothing. You are everything. I checked out your BUILD London interview from 2017. That was before you were even being considered for Captain Marvel. You spoke like a prophet. You talked about being a long-time fan of Marvel and wanting to be in a Marvel movie. You were also talking about us needing more inclusion and how we’re about to “go over the cliff” with the Black Panther phenomenon. I feel like with Maria you self-actualized that dream for yourself, which we all know is no easy feat in Hollywood. Is must be surreal to look back on that. You know what? It wasn’t surreal because I’d been working towards this moment for a long time. I did self-actualize a character like Maria and hoped that it would happen some point soon. It just happened to happen when I was in L.A. auditioning for Marvel. What was bizarre to me is that, when I first got to L.A., I was staying not far from where the world premiere was at. I found that really amazing—that I just so happened to get an Airbnb right next to where one of my favorite franchises was being celebrated. I think it’s very important to visualize and to set goals and to continue to tick them off as the years go on. This was one of my goals and I’m really happy to have been able to celebrate the moment then and look back and feel proud I was able to achieve that in that year. Maria is a leap forward for representation on a huge platform. She’s a strong a woman of color and a single mother who’s also a badass fighter pilot. I’d imagine this is the kind of character you’ve always wanted. Do you find that you seldom see these opportunities in the scripts that get presented to you? It is a rare thing, but it’s a rare thing that’s changing into something else. It has evolved because of women raising their voices. I think we’re at this point now where we are seeing different women on screen because we as a collective are using our voices and lifting each other. It’s about giving the studios, producers, or anyone of power a choice to do this on screen and represent a unique array of characters and cultures, backgrounds, levels of experience, ages—everything. Representation covers so much. There’s race and there is gender, and it’s also a way of life. There’s also backgrounds. There’s also sexuality. It’s also so many things. I think this is just the beginning of the industry reflecting the world. It’s a powerful moment that I really crave that you see this year. It’s an amalgamation of moments that they’re gonna use as a momentum to carry forward for bigger change. From what I understand, Maria had a fairly obscure presence in the comics so there was opportunity for you to fill the character out. It’s not unlike your character Rosaline from Shondaland’s Still Star Crossed because I believe that character was only briefly mentioned in a verse in Romeo & Juliet. Does that give you a more concrete sense of ownership over the characters you’re building and breathing life into? You know what? It’s nice to be able to have source material like a comic book because it’s very rare that you get the opportunity to portray someone who’s real, like a historical figure or a cartoon character or a comic book character. 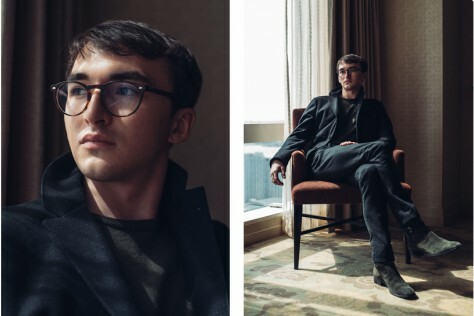 When you have that rare opportunity to represent someone who no one knows, it feels like you’re able to really approach it from a thespian point-of-view. You’re able to start from scratch, speak to the creatives, talk to the directors, and ask, “Who is Maria?” Then you get the wonderful experience of, every day, coming in and seeing what her experience is. You see how she reacts to Carol, how she raised Monica, and how she becomes friends with Fury. All of those moments are really special. But you’re right, I did connect to the person I went through with Still Star Crossed because I felt like I had power. [Laughs] I had the power to be able to put whatever spin I wanted on it, and it takes the pressure away as well. It means that no one knows what to expect so I can show them truly what I created and then hopefully not expect for the rest of the time, too, because there’s no source material and they can’t refer to anything. Yeah—it felt really good. I felt like I had stuff in my hands and I could just play whatever I wanted in her personality, which is pretty cool. You originally started out wanting to be a singer. I’m assuming you still sing when you’re not completely overtaken by your acting projects. Do you have plans to record some songs in the near or distant future? So what I realized a few years ago is that I really enjoy being a creator in general. I’ve sang since I was seven years old and then I went into theater and then touched on TV. Then I enjoyed taking something new out of the box for the day and trying that and trying something else and honing in on a skill that I’d never experienced before. So one day I could be an actress and the other day I can be a singer. Another day I will be a screenwriter and another day I will write a play. One day I might write poems and another day I might just wanna speak to young girls about empowerment, and that’s being creative, too. I enjoy all of it. For me, the best lesson I learned as a singer when I was really out of drama school is that you can’t sing without acting and you can’t act without singing. When you sing, you have to perform, and when you act, you use the words that are given to you or the words that you’ve written to evoke some kind of musicality into the script. From me, you can expect anything. Acting and then some. You’ve been fielding a lot of questions about the ‘90s, especially in regards to music. The soundtrack definitely had a big role to play in this movie. Ryan Fleck said they made a big playlist at the beginning of the shoot and shared it with some of the cast. Do you remember some songs that didn’t make the cut? I’m not sure that the playlist they shared was in the movie! I wouldn’t want to be specific because then you start thinking about what songs would’ve been put where in what scene. For me, what was put there in the end fit very well with Carol’s journey and fit very well into the feel of the movie. But I do think there were a couple of maybe R&B songs in there that definitely helped me with the groove of Maria. I think that added a kind of nice undertone to the movie, if you like. I definitely had a few myself that I was listening to, to immerse myself into Maria’s world. Congratulations on getting a series order for Y, set to debut in 2020. You’re now heading into the DC universe. It’s a world without men, except one—the last man. You play Agent 355. What can you reveal? I can reveal that I’m really gonna get Y in terms of representing women and all their glory—much like I’m doing with this movie. It’s a fantastic team with fantastic ideas. I think anyone who’s read the comics will know that it’s incredible. But just you wait because it’s gonna be even ten times more as incredible as it is in those books.